Last month, I took the above picture at my favorite beach and thought about sharing it here in My Countryhome blog. 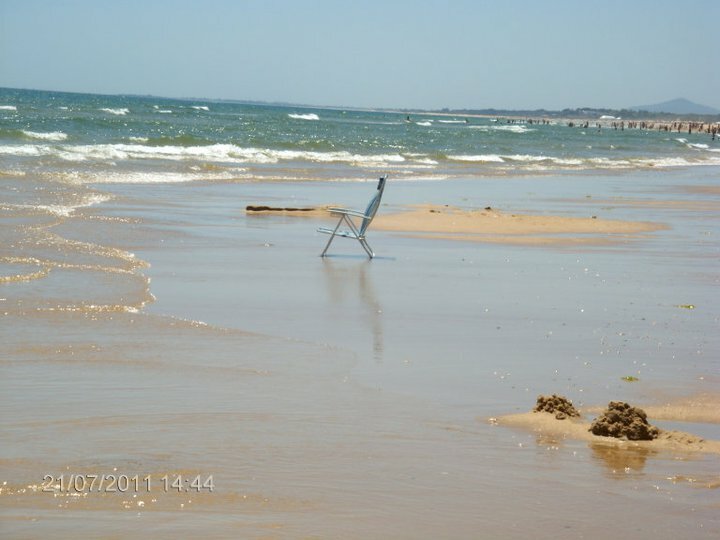 This beach is called "Ricucu" and it´s located near Montegordo city here in Algarve, Portugal. The beach is exactly located between "Praia do Cabeço" and "Ricucu" and, as you can see in the picture, is pretty calm even in Summer days when the surrounding beaches are crowded. There is no public transportation to this beach, you can only access it by car or a private boat. And that´s what makes it so amazing and one of my all time favorite beaches in Algarve...it´s not crowded like the other ones in the same zone and the water is so calm and warm. When the tide is low, you have to walk many meters until you can swim or dive and that´s why it´s so great and safe for kids.